Have you been having trouble finding the right replacement parts for your commercial swing set? Looking for swing hangers online at Walmart or Home Depot, but still coming up naught? It’s not an uncommon problem. We carry heavy duty swing hangers and clamps that are compatible with any wooden or metal swing set on commercial playgrounds, and we find those big competitors don’t carry the right products. Or if they do in fact sell commercial swing clamps, they charge far too much for them! 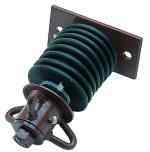 Below you will find what you need in a heavy duty swing hanger. The stress tested hangers we carry are grade A — the bars they are attached to are likely to bend before the clamps themselves do! Replacement swing clamps are a necessity to any playground owner at some point. Kids put a lot of punishment on your equipment — we understand, swings are fun — and eventually the accessories for that equipment need to be fixed or replaced. 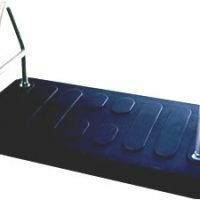 The swing hangers are part of the operation that might see the most action, having to manage the weight with every back-and-forth, so make sure that you are looking at the clamps that are going to hold up the longest and give you the security you need. 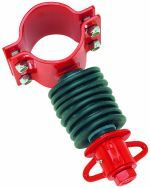 Our swing clamps are the best – just have a look! Also, do you have any questions? Give our experts a call. We’ve been working with swings and swing hanger repairs for nearly 30 years, and we are happy to help: (877) 840-0707. 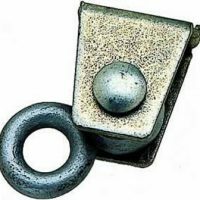 These hangers are heavy-duty cast ductile iron, with Oilite bronze bushings. You will need two hangers for each swing (one per chain). 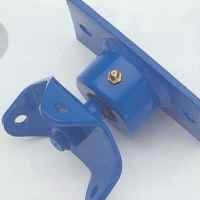 To attach swing chains to the swing hanger, you will need swing hooks or fasteners, except for the E-Z Hang models, which have a built-in pendulum with an opening mechanism. For use with wooden structures. Fastens to the beam with 2 hex bolts. NEW! For use with wooden structures. Fastens with 1 carriage bolt. Steel shackle pendulum is built in. 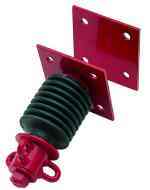 Commercial Steel Swing Hanger For use with wooden structures. Fastens to the structure with 1 carriage bolt. For horizontal pipes. The built-in clevis means you don’t need H-shackles or S-hooks. For use with wooden structures. Made from sturdy polymer. For use with wooden structures. Available with shaft of 4″, 5″, or 6″. 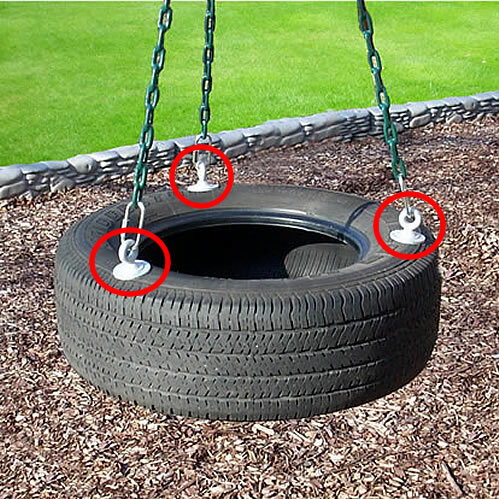 These swing hangers and clamps connect to the horizontal bar above the tire swing with the tire swing chains. The swivels allow for easy and reliable 360 degree pivoting. For use with wooden structures.